This decadent triple-cream cheese is unapologetically rich, with a silky smooth, melt-in-your-mouth texture. Covered by a thin rind with a light coating of mould that will delight cheese lovers with its velvety, mellow taste, without the excessive salt that diminishes the enjoyment of some triple creams. A tribute to small scale industrial French cheese-making, Delice de Bourgogne is made by Fromagerie Lincet, who also produces the beloved Brillat-Savarin. Delice de Bourgogne is a triple cream too, which means that the fat content in the dry matter - the cheese minus its water - is at least 75 percent. Made with whole cow's milk alone, a cheese typically measures about 45 percent fat, so to achieve the elevated richness, the producer has to add cream or creme fraiche. 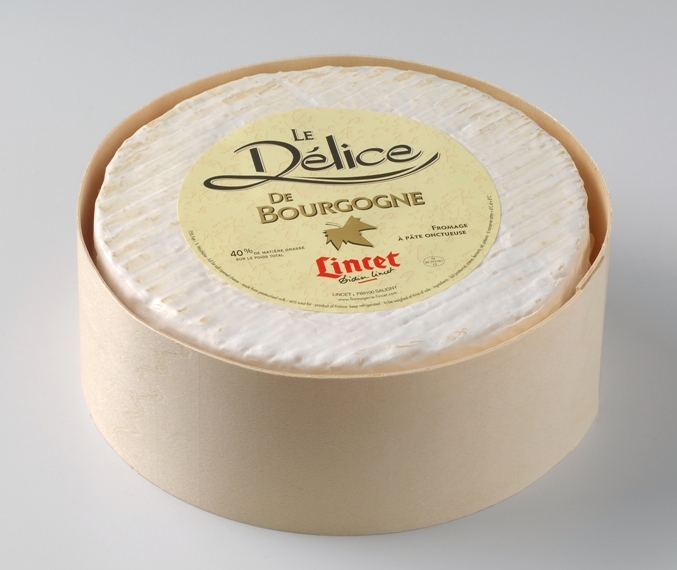 The tangy, sour cream-like tartness of Delice de Bourgogne is one clue that Lincet uses creme fraiche, France's famous cultured cream. That acidic note keeps this unctuous cheese from being cloying. Makes a dreamy breakfast, lunch or dessert - just add champagne! Hi, your site is wonderful. I'm an italian coffee roaster living in France. Anyway, your title "formaggio e' meraviglioso" is not correct. You have to write "Il formaggio è meraviglioso". I hope you appreciate the correction. 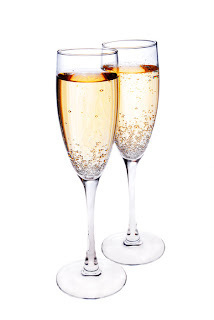 Have a good day! Thank you Matteo for your compliment and correction. I made the change you mentioned, and appreciate your thoughtful response. You have a good day as well!